This highly adjustable pouch fits anything from the 20oz CO2 to the big daddy of tanks (88ci 4500psi). A bungee strap keeps the tank secure. The stiff backboard eliminates getting poked in the back. 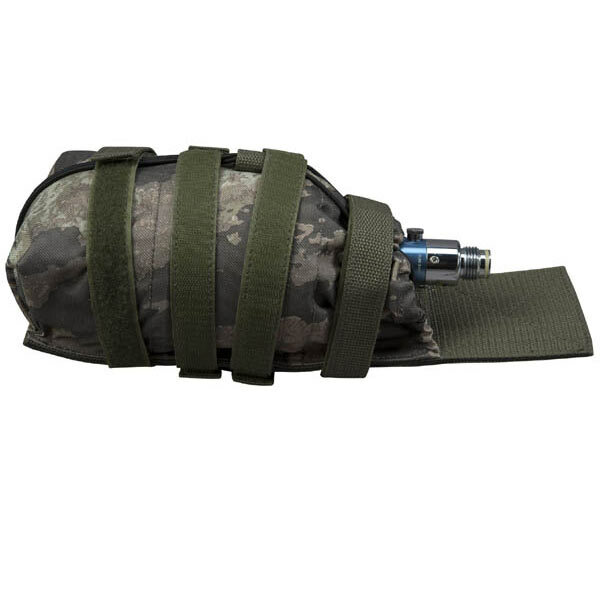 This modular pouch has Velcro straps and D-rings that allow you to mount the bottle horizontally or vertically to the BT Merc, HRT, or Static Vest.